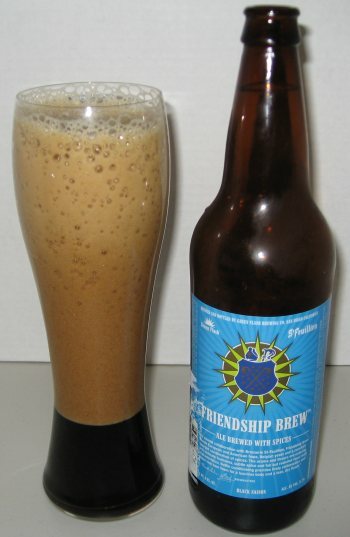 Friendship Brew is a Black Saison and the second example from a unique collaboration between Green Flash Brewing Company of San Diego, California, and Brasserie St. Feuillien, of Belgium. It’s brewed with Belgian yeast and spices, but the real story here are those spices. The nose reminds me of potpourri, and the middle is loaded with earthy herbal flavors and a bit of toasted rye. The middle is quite dry, but there’s a hint of chocolate sweetness right at the end of the finish. This is a really interesting, really unusual beer with a lot of character. This entry was posted in Reviews on March 27, 2013 by Xander. 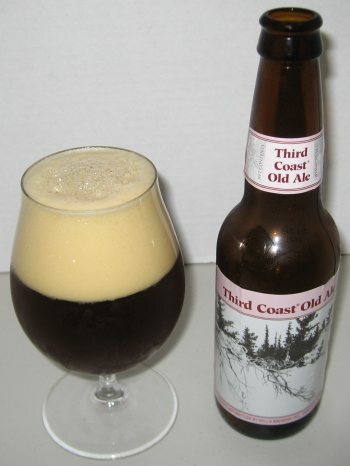 Third Coast Old Ale from Bell’s Brewery of Michigan is a big aged barleywine. They call it bitter, earthy, and malty, and it absolutely lives up to the description. The nose has toffee and caramel and earthy notes. The middle has heavy oak and vanilla, some caramel and deeply roasted grainy flavors. The finish has more vanilla, raisins, and pine. The body is heavy, and the alcohol is high at 10.2% ABV. This is a fine drink to wrap up a cold winter’s night. This entry was posted in Reviews on March 26, 2013 by Xander. 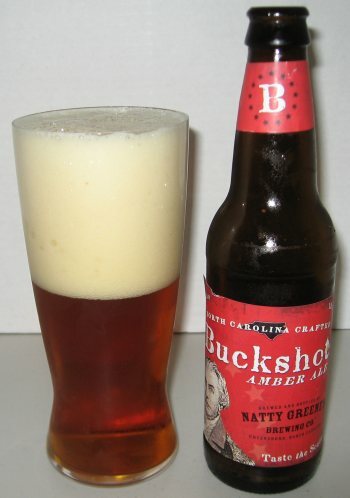 Today I’m trying a North Carolina beer; Natty Greene’s Buckshot Amber Ale, by Natty Greene’s Brewing Company out of Greensboro, NC. The nose is yeasty and strong. The middle is toasty, and there is some light caramel in the finish. This is definitely malt forward, without any strong hop notes anywhere. It’s a fairly reasonable rendition of an amber ale. This entry was posted in Reviews on March 15, 2013 by Xander. 90 Minute IPA is a continually-hopped Imperial IPA, and one of my all time favorite beers. The nose is bready and sweet, reminding me of oranges and sticky buns. 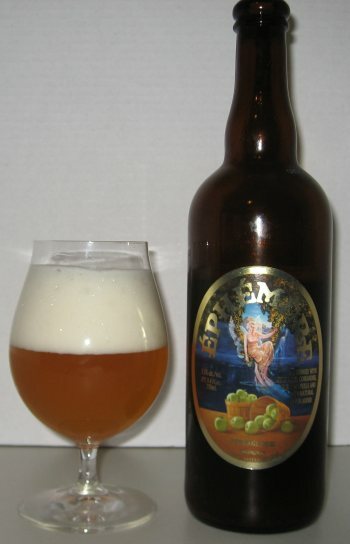 The middle has a sharp hop bite offset by sweet oranges and heavy grapefruit, with some caramel towards the end. It has a heavy body that causes it to linger on the tongue. It’s a fabulous ale that’s perfect for just about any occasion. This entry was posted in Reviews on March 12, 2013 by Xander. 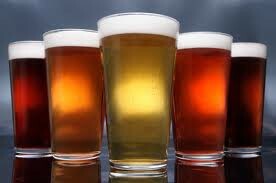 I’ve got another light, refreshing drink on the menu today. New Belgium Brewing’s Shift Pale Lager is a hoppy, crisp lager and it is quite delicious. The nose has a lot of orange and floral notes. The middle has lemon and a bit of pine and bread, and the finish faintly reminds me of rye. This is a really well executed hoppy lager (though not nearly as hoppy as Samuel Adams Double Agent IPL) and I really enjoy it. This entry was posted in Reviews and tagged Colorado, Lager, New Belgium, Pale Lager on March 8, 2013 by Xander. This beer came as one of the “new” styles in this year’s Samuel Adams spring mixed pack, and I have to admit that I didn’t look closely enough at the bottle before opening, because I was expecting a standard American IPA. At first taste however, what I got was a super light-bodied wildly west-coast style beer that the Boston Beer company actually calls an “IPL” (India Pale Lager.) I have to say that I love this concept, and the execution is excellent. The heavy grapefruit and pine of west coast hops matches beautifully with the well carbonated light body lager. It’s not a big beer at 5%, and the signature IPA bitterness, while there, is tempered, leaving a fantastically tasty and refreshing beverage that could easily be my go-to game day beer. This entry was posted in Reviews on March 5, 2013 by Xander.